Finding the right bike for your needs can be a long and hard process, with so many mixed reviews on certain brands and bikes its difficult to come to that final decision. We'd like to put our opinions and recommendations in to the mix considering what type of riding you will be doing and on what type of terrain. The frame material e.g. aluminium, carbon, alloy etc, is a big part of choosing your bike. Each material will come with a different price tag and will suit different uses. Steel and aluminium can handle a lot of crashes and bumps and aren't as pricey as a carbon frame. However, carbon frames suit rough and rugged trails too except they're super lightweight to help with climbs. You should consider why you need the bike. Do you have it for smooth trail riding or extreme mountain biking with drops and (most likely) crashes. Cross country (XC) mountain bikes are very common in bike shops. They are lightweight because they are designed for speed. 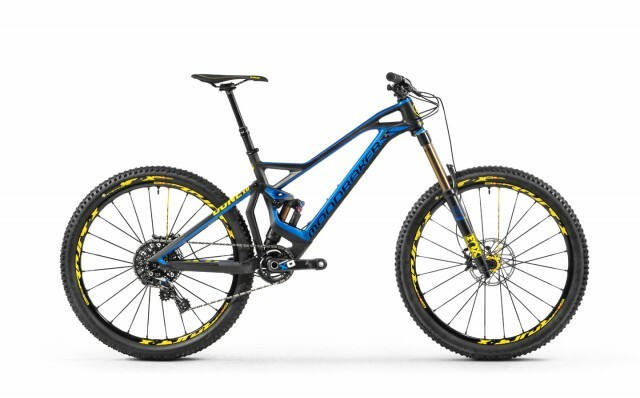 Alternatively, you could be looking for an enduro bike. They are designed for trickier and steeper trails and will be a bit heavier than cross country bikes. Frameset includes your frame and front fork of the bike. Frame material is important for road bikes too. Steel and aluminium are generally more affordable than carbon or titanium frames. A steel frame is durable and could last you a long time if you make sure it doesn't rust but it isn't as light as the likes of a carbon fibre frame. Carbon fibre frames are more expensive and famed for their strength to weight ratio.They give you a comfortable ride and many cyclists would recommend this frame material over others. ​Groupset includes the likes of your brakeset, crankset, chain, front and rear derailleur and cassette. We'd recommend that you find yourself a reasonable brakeset and crankset. If you want to power up hills you should ensure you have the right gearing for the job. A compact chainset with a lower gear ratio of 50/34 helps with those hills and is recommended for beginner cyclists. Alternatively, the more standard ratio is 53/39 and this for those of you looking to take cycling more seriously. However, it is ultimately about what you're comfortable with in terms of your physical strength. Wheels are a hugely important part of your bike and you should definitely look for a good quality set. Clinchers are very popular because they are affordable, offer you a high-performance and are easy to maintain. On the other hand, you could look at tubular tyres which are usually adopted by racing cyclists for their outstanding performance but if you go with this wheel you should know how to deal with a flat tyre. You might want to also consider the weather performance and durability. ​We hope that gives you some idea of what to think about when buying your next bike. Still confused? Don't be scared to ask for help from a good bike shop. If you want to take your new bike on holiday check out our blog on renting a bike bag for your travels!